Eoin Walsh and Gary Kirk both worked at Synapse Investment Management prior to founding TwentyFour. 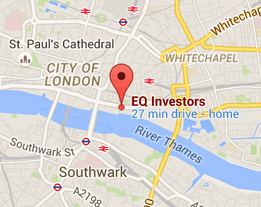 Prior to TwentyFour, Eoin was a Vice President at London Credit Structures, part of Citigroup Alternative Investments. Eoin joined Citigroup in 1997 working in the Independent Control department before moving to the Credit team. Eoin joined the portfolio management team in 2002 and concentrated on the structured finance sector, covering: RMBS, CMBS, autos, student loans, consumer loans, CLOs and various other asset-backed securities. Prior to TwentyFour Gary was Head of European Credit trading at Wachovia Bank NA, where he led a successful proprietary trading group focused on European & Asian credit products. Gary worked in the Corporate Finance & Syndicate group at Daiwa Securities in 1987, where he created structured bonds for Asian investors as well as becoming one of the pioneers of the asset swap market. Between 1993 and 2000 Gary was Head of Credit Trading at the Royal Bank of Canada, where he was at the forefront of the development of the credit derivative market and a member of the professional market panel involved in the first standardised ISDA document. Prior to joining Wachovia, Gary was Head of Trading at CDC Ixis, running a group of 12 traders based in London, Paris & Frankfurt.